And for just a fleeting moment, my baby is now a tween. His birthday marks a special day in my life because it is the day when I had him. It opened my life to a new journey and gave me chance to be a mom. Whenever I look at him I know that God has blessed me so much. He may be a tween now but in my heart, he will always be my little boy. This year, we had birthday staycation again. If you remember my post last year, my son enjoyed our stay at EDSA Shangri-la so this year, we booked the Wonderful Weekends Package of Makati Shangri-la. We were there during the Star Magic Ball so ang daming artista, nakibirthday sa anak ko. Hehehe! 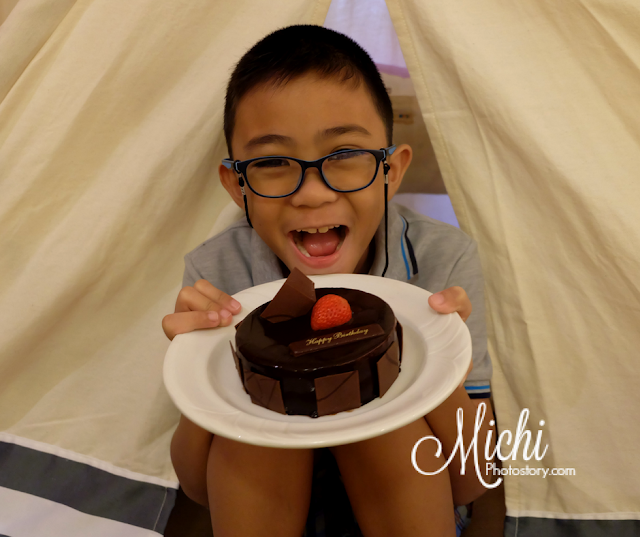 Fast forward to his birthday, he went to school while my husband and I went to Nuvali so we can buy his chocolate cake. He likes the chocolate cake of Contis so yun ulit ang birthday cake niya. 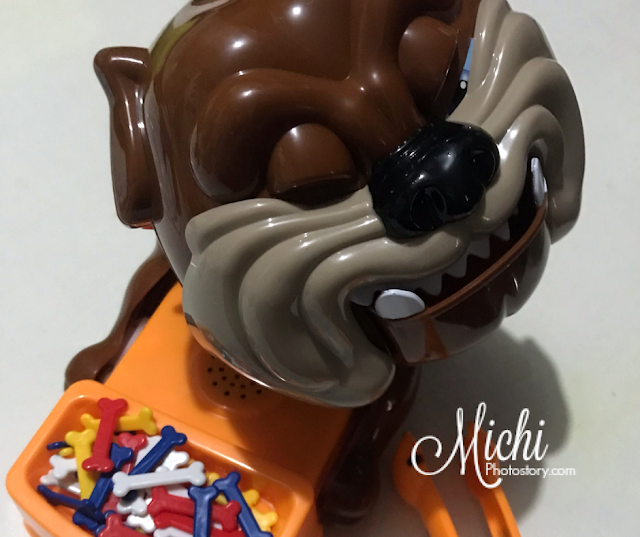 Then we bought a gift at Toys R Us, I bought this “Bad Dog” toy, mahal pala siya. P999.75 and I got it at P799.75 kasi nakasale. 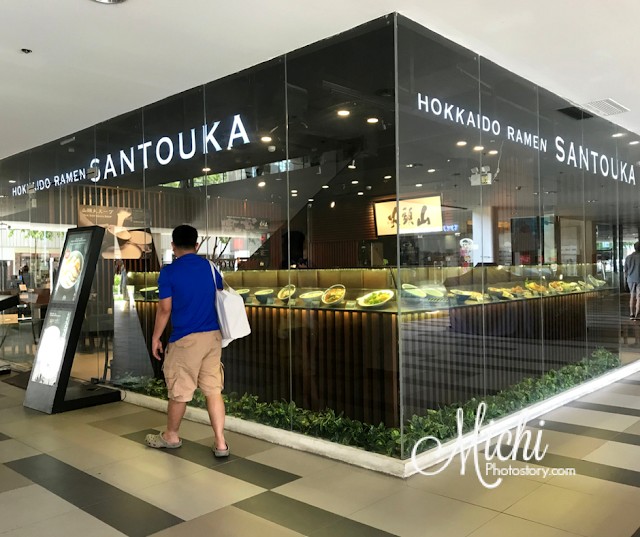 Before we left, we ate at Hokkaido Ramen Santouka, I will share our experience in a separate post. After school, we sang “happy birthday”, my son blew the candle and opened his gift. He finished his assignment and off we went to Shakey’s. We had a simple dinner with my in-laws. Since may pasok yung iba, 11 lang kami present. Sulit yung “Ber Bundle” ng Shakey’s, sobrang dami ng food kasi naka-upgrade yung pizza, chicken n mojos and may free mojos supreme pa.
Hahaha. I really like your humor. No doubt your son looks like a fun and happy person, too. Seems the young man truly had a nice birthday plus added treat the artistas na nakibirthday sa kanya :) Yes, having him as your only child will forever make him your baby. Hehehe! Ang dami nga artista, naoverwhelmed ako. Happy Birthday to your son! My oldest was also 9yr old. And I missed him being a little boy. Now kids at his age talks about their crushes and I was so not ready for the teenage years to come! Anyway, the staycation was really fun bonding for the family. My youngest always talks about having a 'sleep over daw' again in a hotel. It means she really had a great time! Thanks! So far, my son has no crush yet and like you, I'm not ready yet. Hehehe! Waah! Sabi ko na mahal yung Bad Dog e.
He is the same age as my 2nd son. 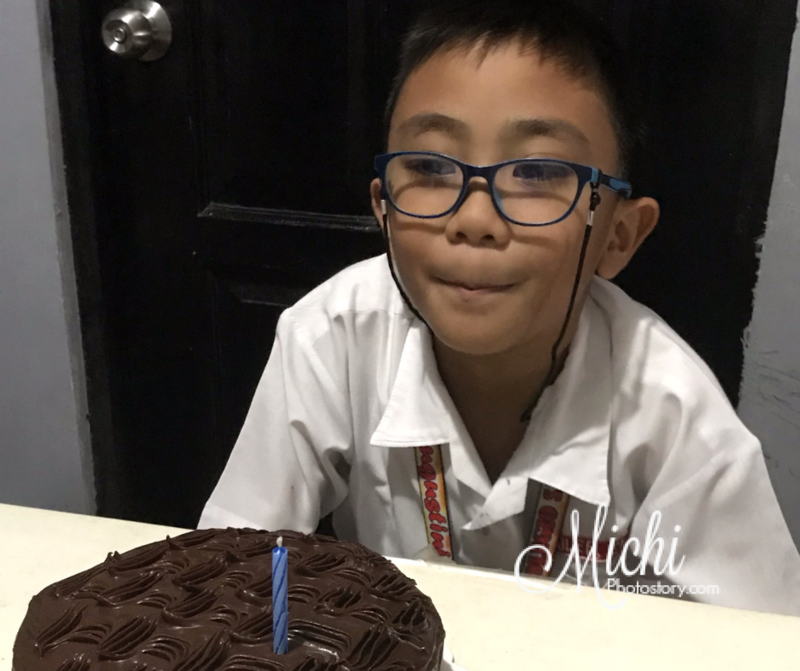 He turned 9 last Aug 30. Ang bilis ng panahon ano? These kids are growing up so fast. Happy birthday to your tween. Love the cakes! Grabe ang mahal nyang "Bad Dog" bet ko pa naman bilhin yan, meron kasi nagbigay sa anak ko yong crocodile naman. Nakakatuwa mga laruan ngayon. hehe! Belated happy birthday to your son! :) Looks like he had fun. In just a few years, you'll already have a teen. Time flies so fast, doesn't it? Belated Happy Birthday to your son! I bet he had a blast! Plus, that Bad Dog Toy is something on my wish list too haha. Happy Birthday Day to your Big Boy. He's big na. Nakakamiss when they are still young no? They grow up too fast for their mum's peace of mind, don't they? I agree, being a mum is such a life-changing experience. If only we can keep them as babies for a little while longer. Happy birthday to your not-so-little baby boy! Happy 9th birthday to your son sis. Ang bilis talaga ng panahon. Di natin mamamalayan may binata na tayo heheh. And I agree sulit yung Shakey's Big Bundle!